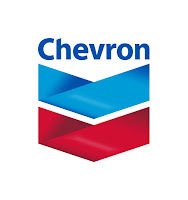 Chevron is one of the world's largest integrated energy companies. Headquartered in San Ramon, California. We conduct business worldwide. We are engaged in every aspect of crude oil and natural gas industry, including exploration and production, manufacturing, marketing and transportation, chemicals manufacturing and sales, geothermal energy, and power generation. We're also investing in renewable energy and advanced technologies. Educational Requirement: S1 Degree (S2/Master Degree will be an advantage). Manage the Quality Assurance, Interface and Risks for the Asset Integrity Program. This will require auditing engineering procedures of the FEED Contractor, arranging external reviews of project deliverables, liasing with operations teams and ensuring adequate operations input to the project design and construction planning. Plan and execute a series of risk workshops, control the risk register and follow up on mitigation plans and generate risk reports. 10 years+ experience within the Oil and Gas Industry or related industries (e.g. infrastructure construction, mining); preferably involved with pipeline and/or powerline projects. Good knowledge in Quality Assurance, Interface & Risk. Good computer skills capable of using Microsoft Word, Excel, Project and PowerPoint. Strong interpersonal and communication skills both in English and Bahasa Indonesia, and the ability to communicate effectively with cross-functional teams. Have a good leadership and communication, both in English and Bahasa. Willing to relocate to one of Chevron operations locations (East Kalimantan/Riau). Desiring to work in a multicultural and diverse organization. Able to establish effective relationships with people of other culture and backgrounds. Only application submitted through website will be processed. Our e-Selections website supports the protection of the environment, thus, no paper applications will be accepted. All applications are appreciated and will be treated with confidential manner.